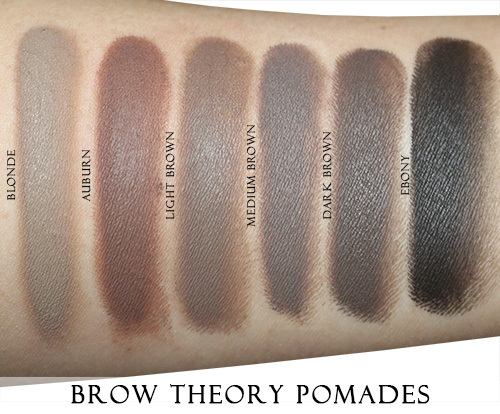 The Brow Theory Pomades are highly pigmented smudge-proof, water-proof, and long wearing eyebrow creams. Best applied with an angled liner brush and blended in with a spoolie. Removal requires an oil based makeup remover. Cyclopentasiloxane, Isododecane, Trimethylsiloxysilicate, Dicaprylyl Carbonate (and) Stearalkonium Hectorite (and) Propylene Carbonate, Kaolin, Ceresin, Copernicia Cerifera (Carnauba) Wax, Microcrystalline Wax, Silica, Tocopherols, Phenoxyethanol, Caprylyl Glycol, Potassium Sorbate, Hexylene Glycol. 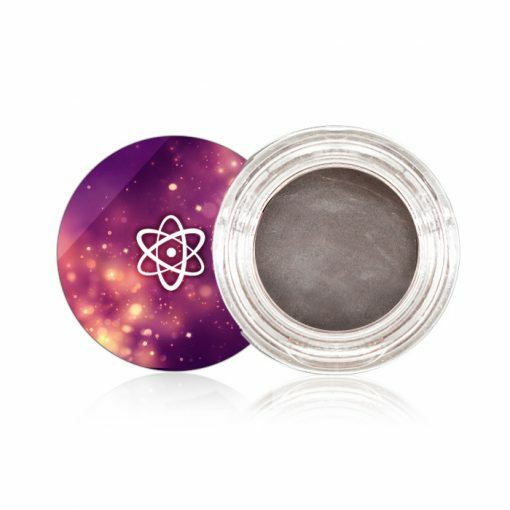 | May Contain: Iron Oxides (CI 77499, CI 77491, CI 77492), Titanium Dioxide. 8g each.